Anyone who knows me knows that I knit. In fact, I’m kind of a knitting maniac. Not a day goes by without yarn handling of some sort. I make yarn, spinning it out of beautiful, silky fibers. I knit garments and things. Warm things for children and old people, fashionable things, utilitarian things, things of beauty, filled with the peace that I feel when I’m knitting. For the last two years I’ve been knitting and/or spinning twice a week at a yarn shop in town, Textiles A Mano, run by Laura Macagno-Shang, a delightful woman of amazing expertise and artistic talents. Inspired by her and the other spinners and knitters, my knitting has gone from mundane, meat-and-potatoes knitting to creating incredible laces, intricate cable networks and dozens of warm things for the Relief Nursery, a local charity that helps out parents and their children from newborn to six years old. Most of the things I knit are given away to family, friends, or charitable organizations. I keep a few special things, of course, but it seems as though the minute I cast on a project, a person comes to mind and I begin to think about that person, meditate on his or her situation, and pretty soon that warm garment becomes first a thing of comfort for me and then a thing of comfort for the recipient. But this is not a blog post about what a great knitter I am. It’s about how we can all do little things to enrich a life. Something as simple as a warm “chemo cap” for those going through treatment. Something as simple as a pair of baby booties for a friend’s new grandson. Something as easy as a set of felted coasters as a wedding gift. These are not items of great value, but I believe that they send good, healing heart-energy into the universe that is multiplied over and over and over again. When we give gifts from the heart, from our creativity, we affirm the recipient’s worth, we spend time in creative contemplation, we engage in constructive prayer. And that is always a worthwhile endeavor. It adds love to the planetary consciousness. What can you do today to make the life of a loved one — or even an acquaintance — better? Whenever I am asked, as all authors are, who the writers were who influenced me, Edgar Allan Poe is always the first to come to mind. I was an odd child, and in the year between seventh and eighth grade, I spent all summer wearing my swimming suit and living in my bed, reading. I read the collected works of Poe, of course, and everything from Edgar Rice Burroughs (Tarzan, Pelucidar and more), Ian Fleming, Rod Serling, Robert Heinlein, Ray Bradbury… I read voraciously. The only time I got out of bed was to load the books in the basket of my bicycle and head to the library for another load. This immersion in literature was the most valuable use of time (though my mother never understood) for a fledgling writer. I’ve since read most of those authors many times, none more than Mr. Poe: the author, the poet, the enigma, the influence. I glean new appreciation every time I read something of his. Several years ago I was invited to contribute to an anthology entitled Poe’s Lighthouse, a collection of stories about the most mysterious story of all: an unfinished one by Poe. Chris Conlon did a nice job of putting the anthology together, and I was delighted to contribute. 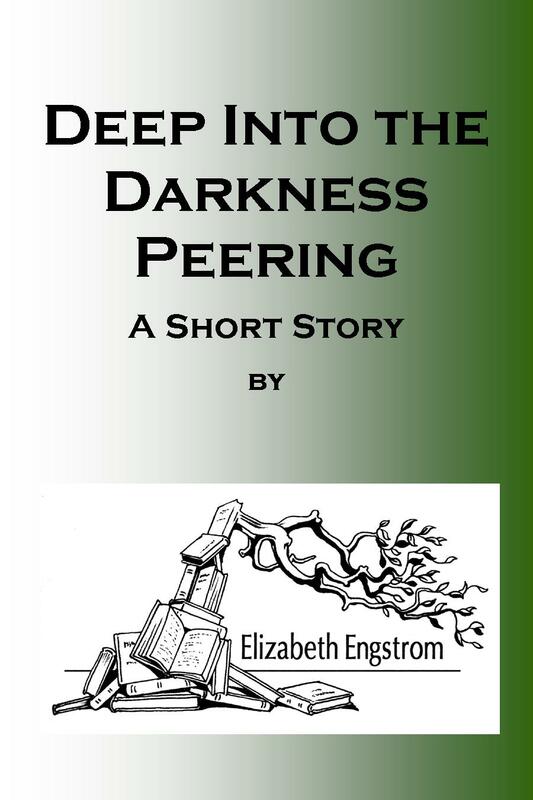 Now that story is available as a $.99 stand-alone short story for the Kindle. I hope all Poe fans enjoy it. As always now and forever: if you read something you like, post a review.